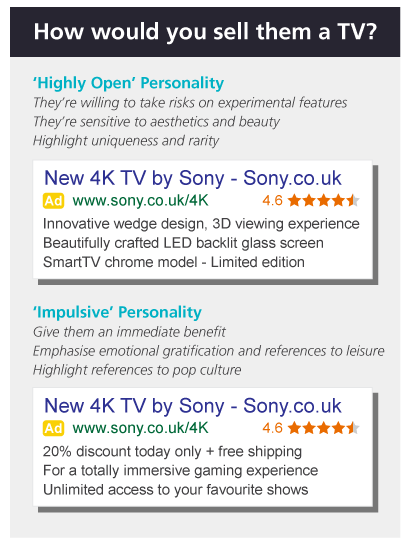 Looking for new paid search strategies? With VisualDNA you can shift your SEM focus from keyword optimisation to retargeting high purchase propensity prospects, or ‘look-a-likes’, of your best customers – extending reach, improving conversion rates and reducing cost per sale. Our proprietary profiling methodology and world’s largest database of Demographics, Interest, Intent and Personality profiles – 100m in the UK and over 270m globally – helps you understand the personality traits of your website visitors and build retargeting lists for High LTV customers. 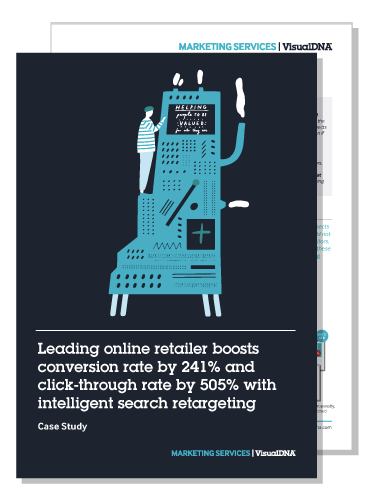 To learn how VisualDNA is helping this leading retailer to drive sales and nurture customer loyalty read the full case study.